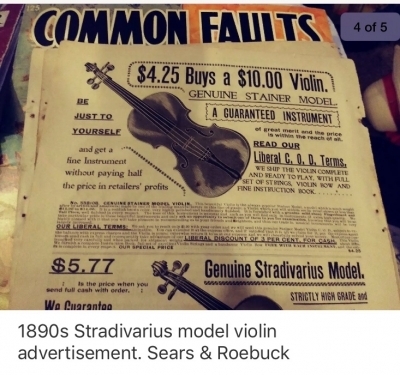 Well, considering that a dollar was likely a good daily wage when those ads were written, modern beginner violins are in the same ball park. 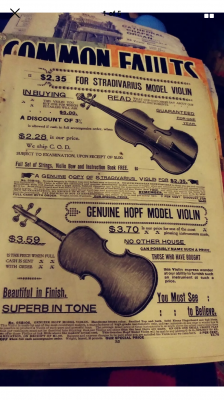 I need to get the Roy Ehrhardt series on Violin identification. 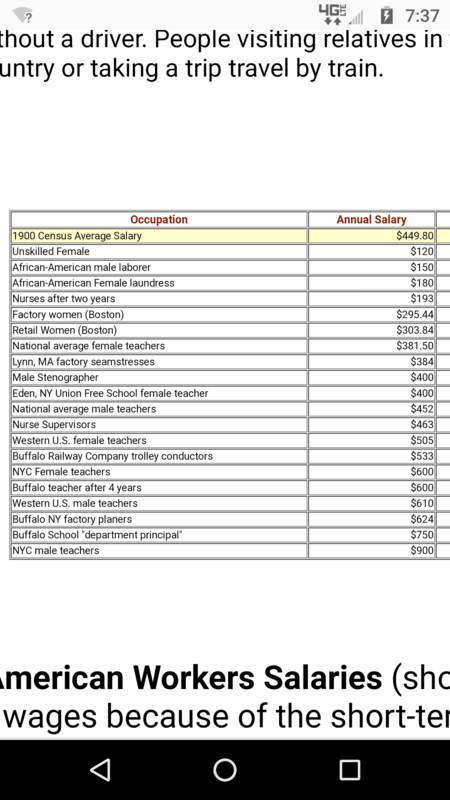 1901 census on wages for reference. 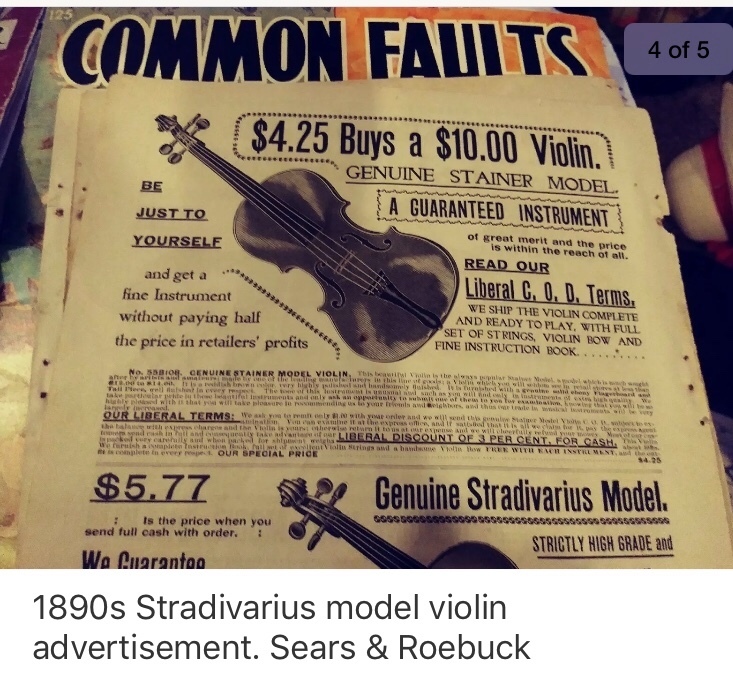 thanks for posting, my wife and I enjoyed looking that over. 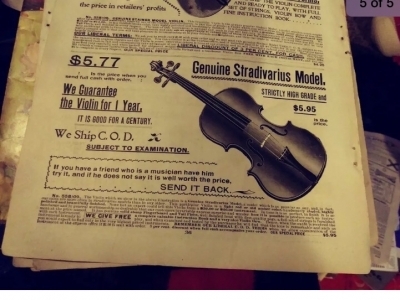 i am very interested in finding literature on violin and bow makers, identification and variables. @Mark , it looks like my back of the hand estimate of $260 per year (5 work days/week x 52 weeks/yr) was a little low. @steveduf . 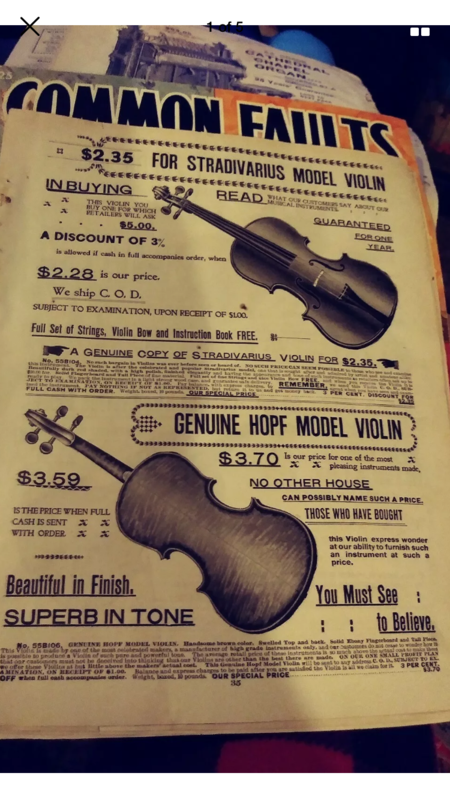 I have not seen it yet, but I have ordered the three volumes of Violin Identification by Roy Ehrhardt. All three volumes are available on one cd at our lottery broker for about $20. I have also not seen but I am interested in Deutsch Bogenmacher by Grunke and Schmidt in two volumes. Text is in both German and English. I am trying to get from a library, but it is also available on google books. No idea how much that costs. 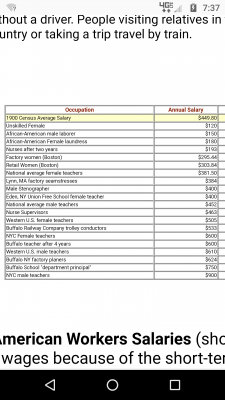 What about unskilled male and NYC Female teachers?